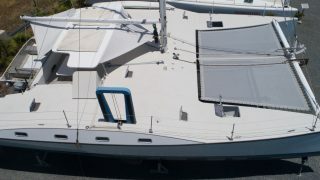 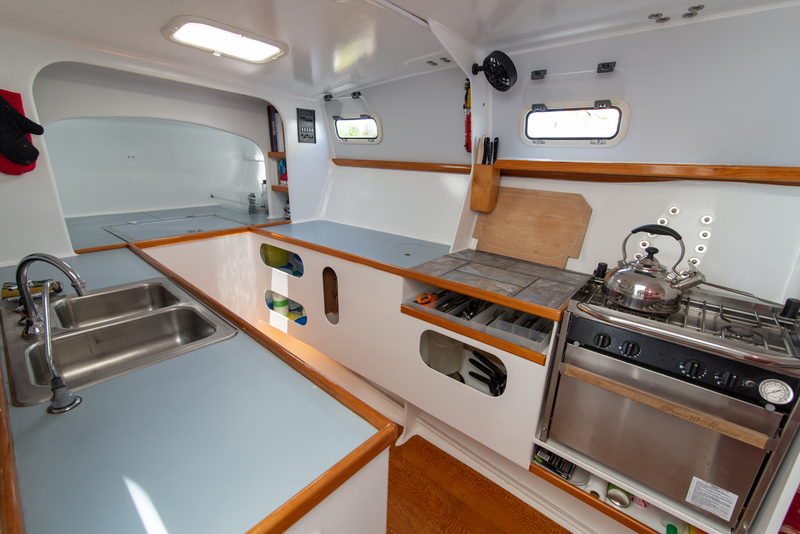 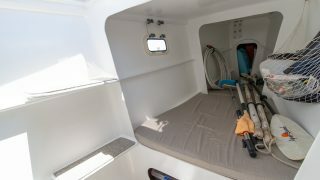 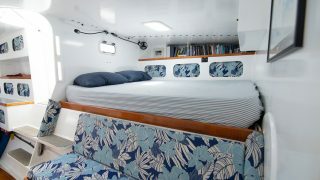 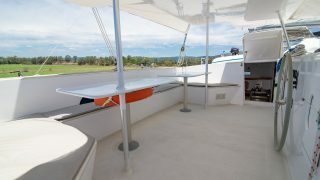 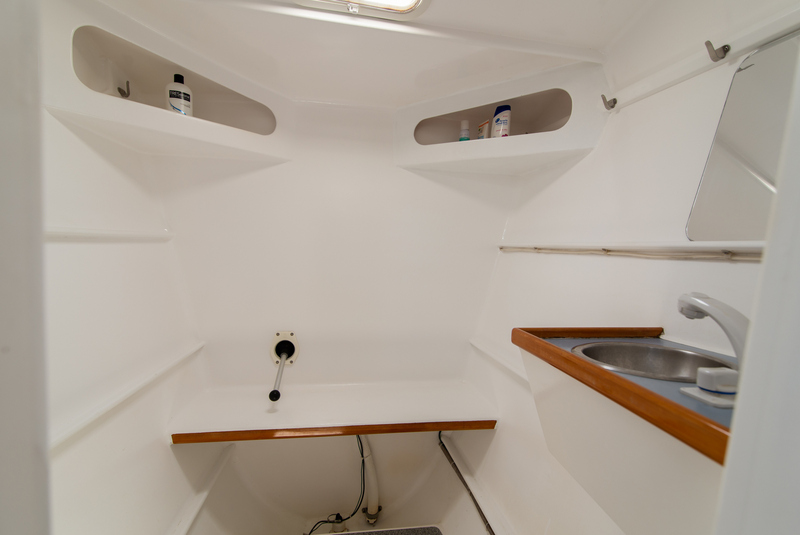 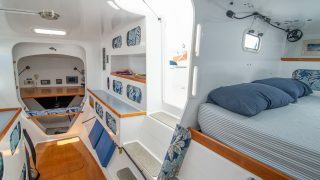 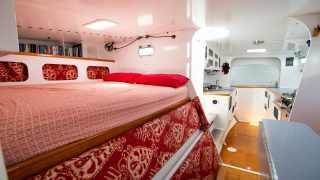 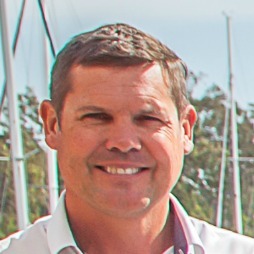 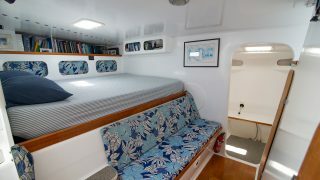 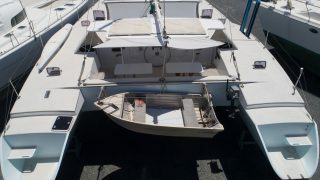 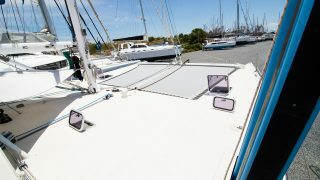 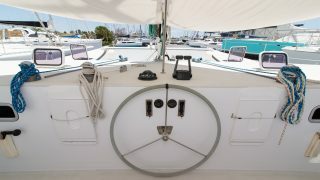 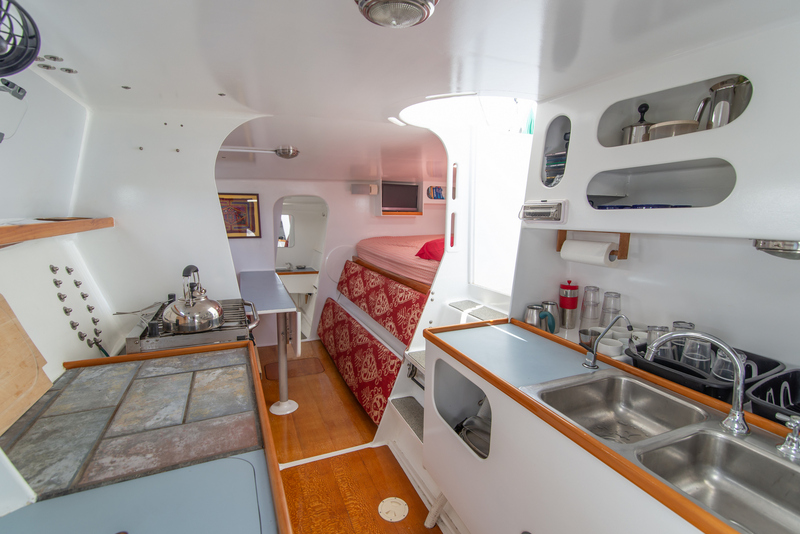 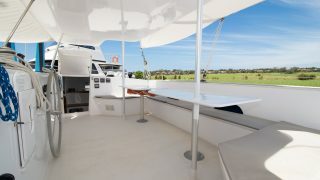 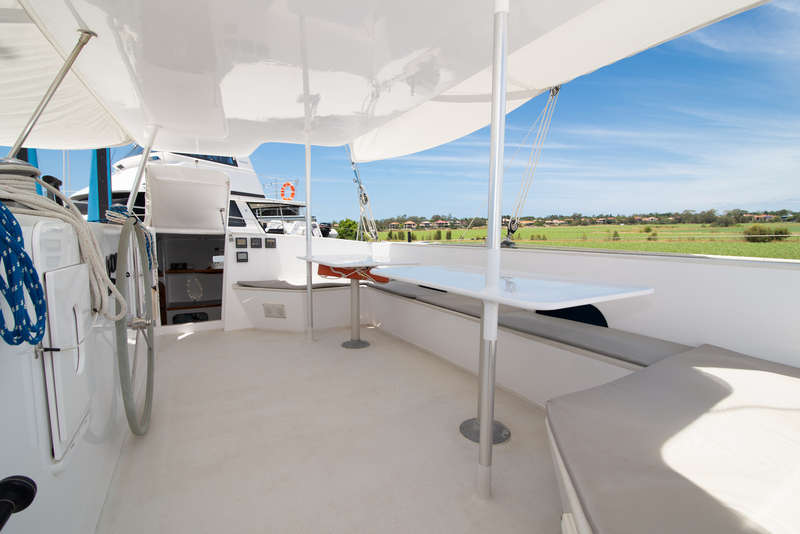 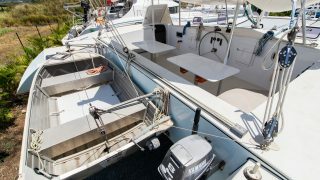 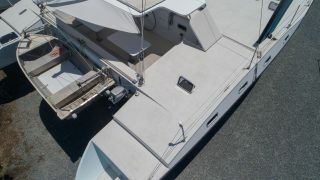 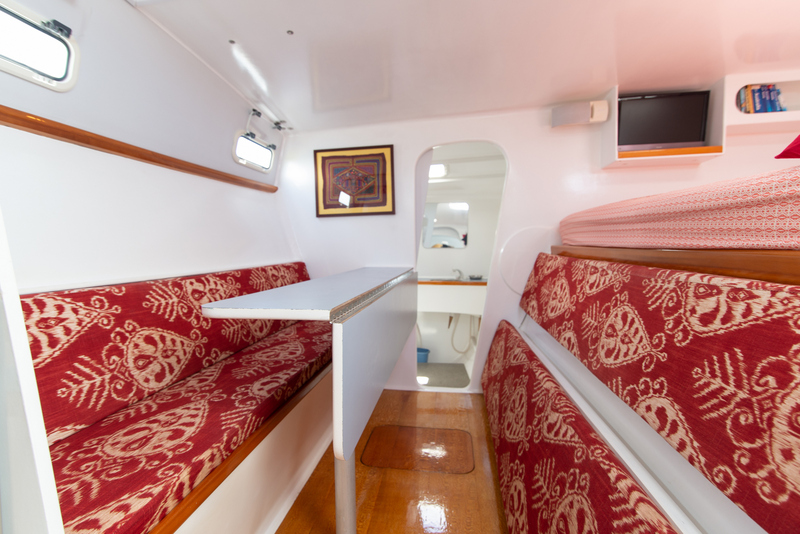 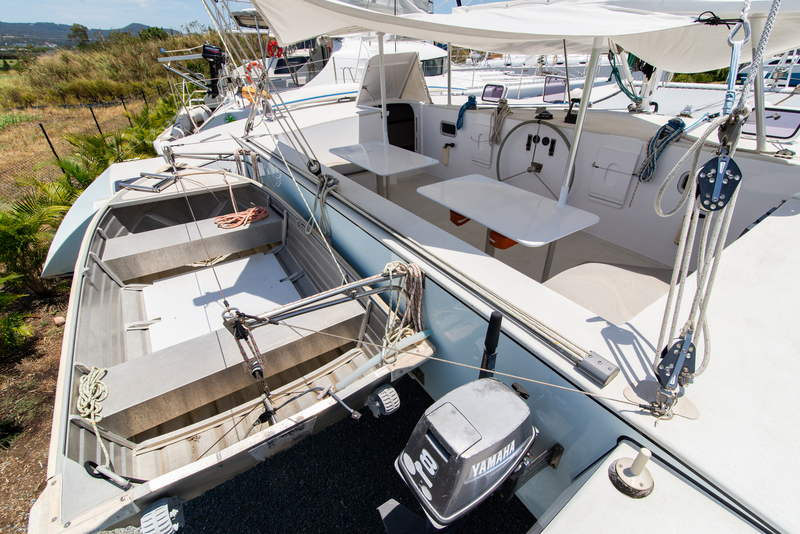 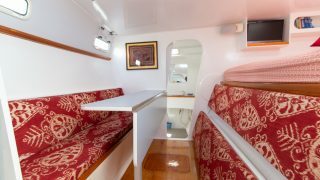 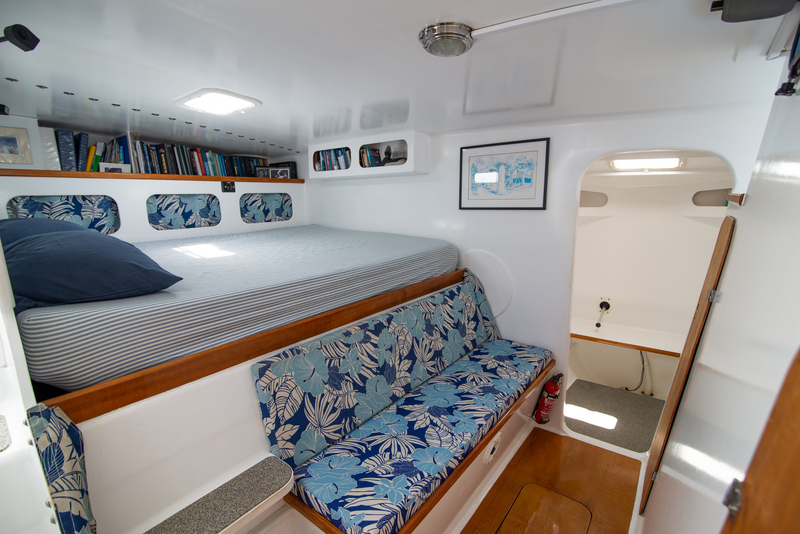 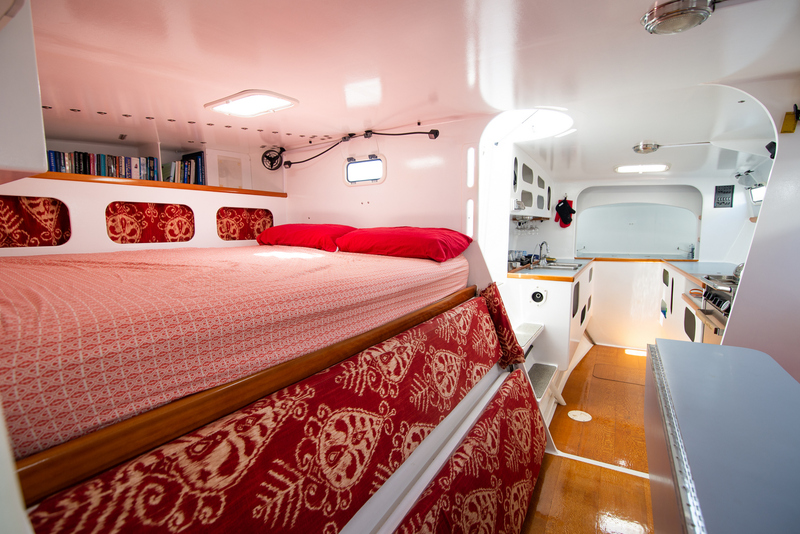 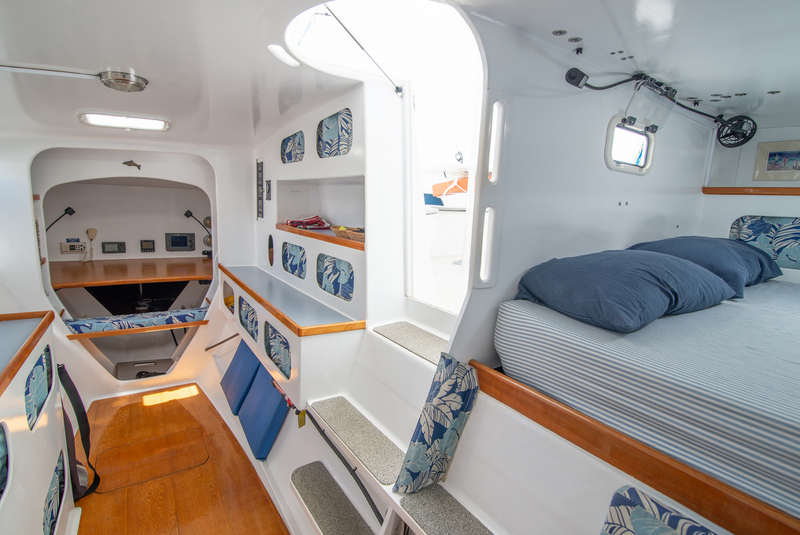 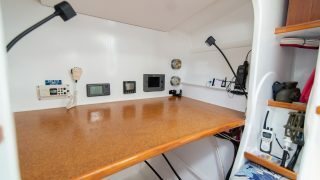 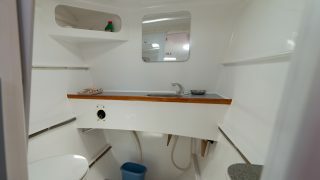 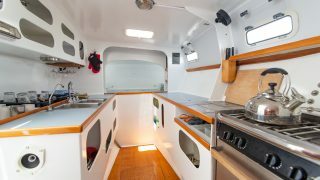 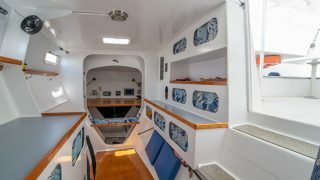 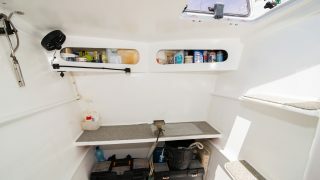 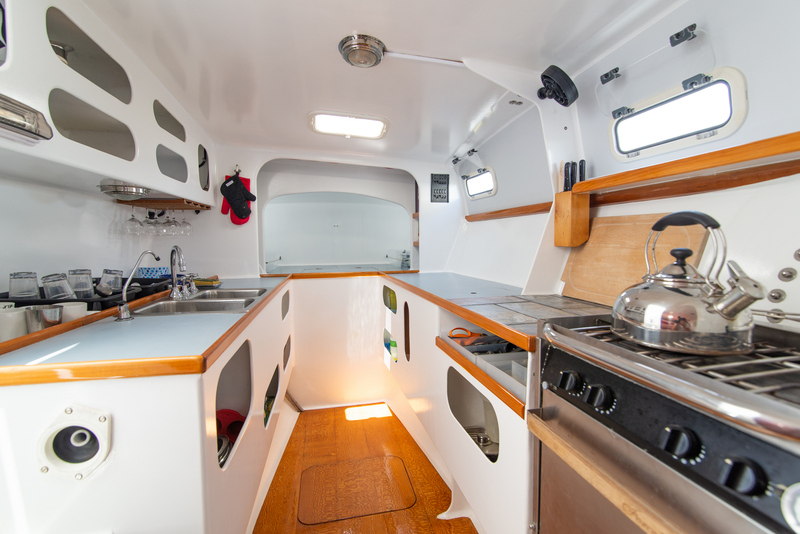 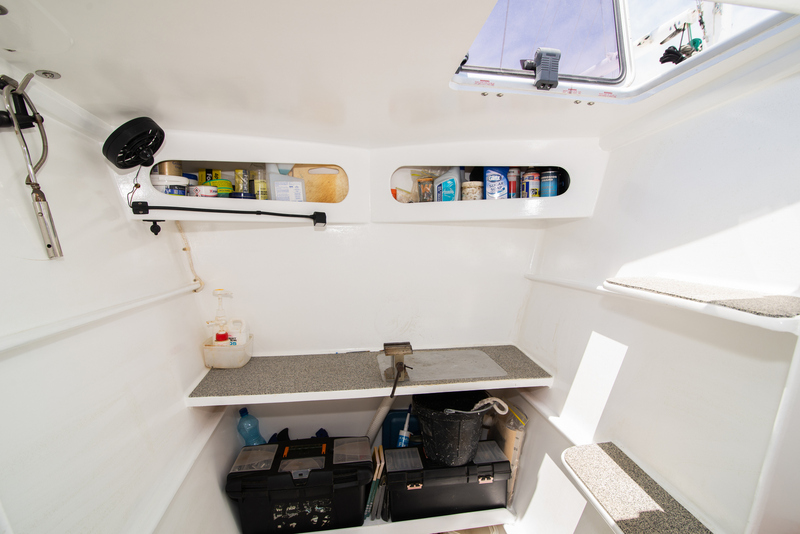 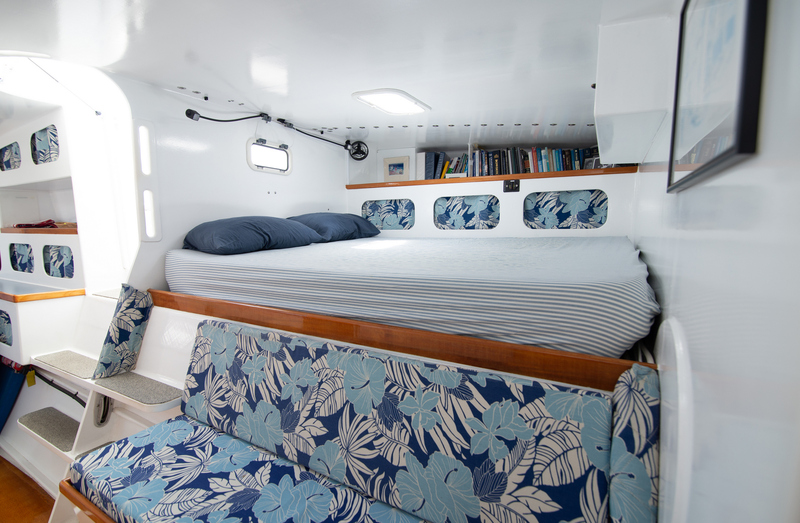 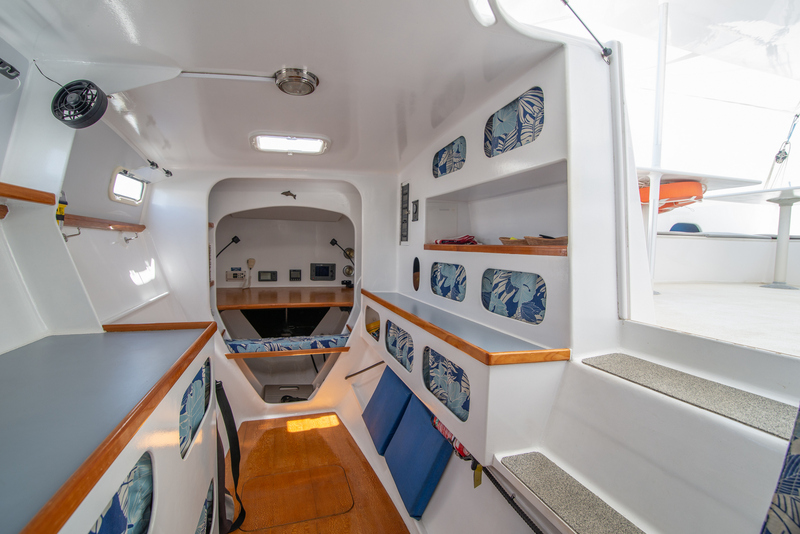 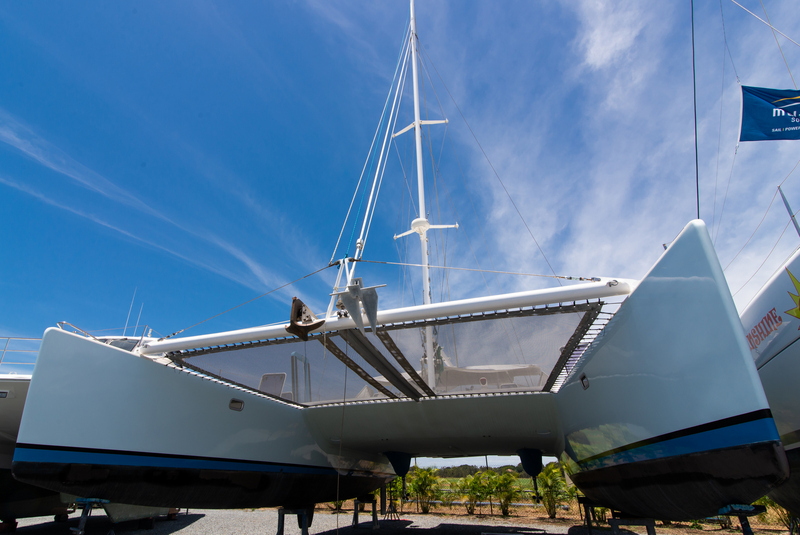 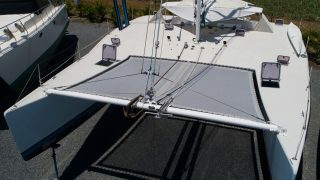 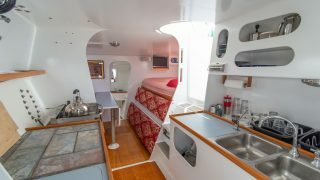 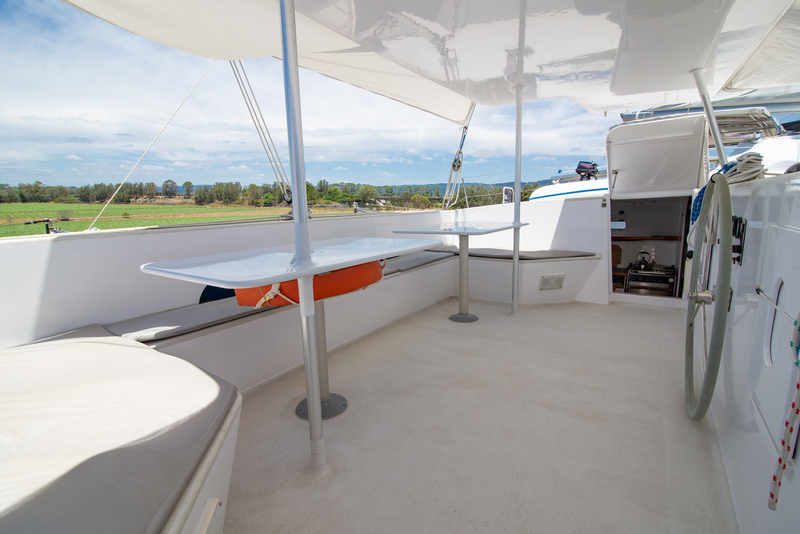 This Kurt Hughes Open Bridgedeck 42’ Catamaran “Gato” has carried its owners safely up and down the United States East Coast, back and forth to the Bahamas numerous times, through the Caribbean, Central and South America and across the Pacific, before landing in Australia near the end of 2006. 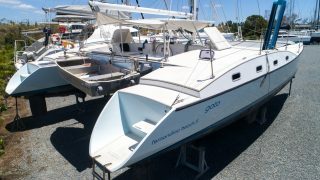 At that time, she was imported into Australia. 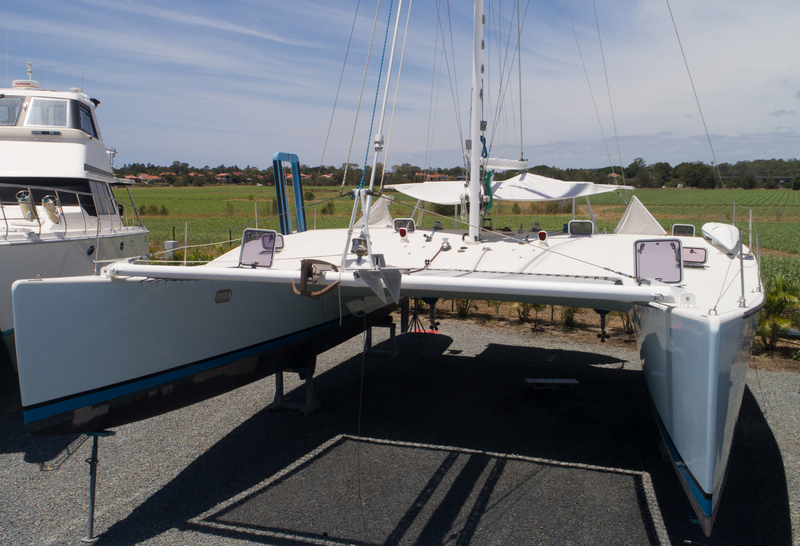 Since then she has done multiple trips up and down the Eastern Seaboard as well as back and forth to New Caledonia. 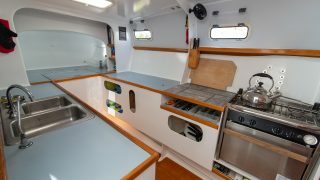 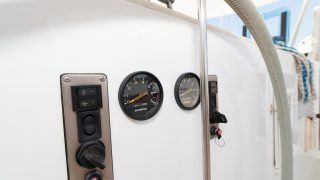 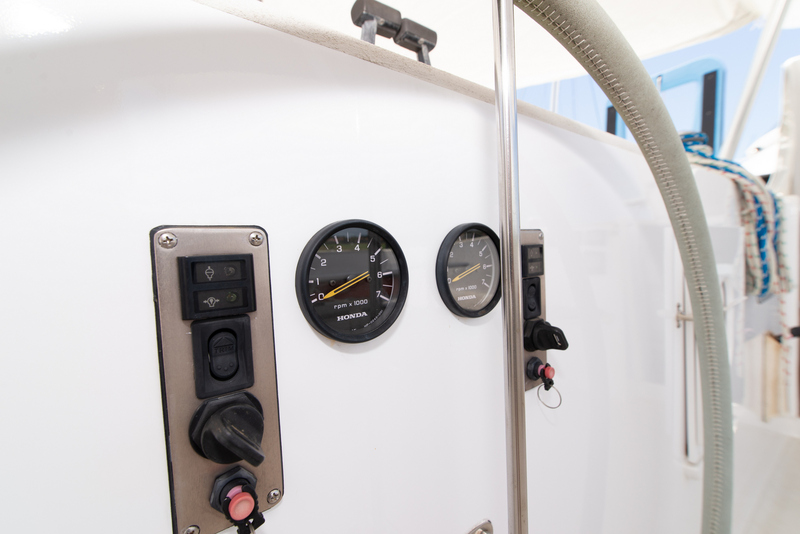 A major refit was done in 2010 and a mini refit in 2015, and she has been professionally maintained by her shipwright owner who constantly up graded her as needed. 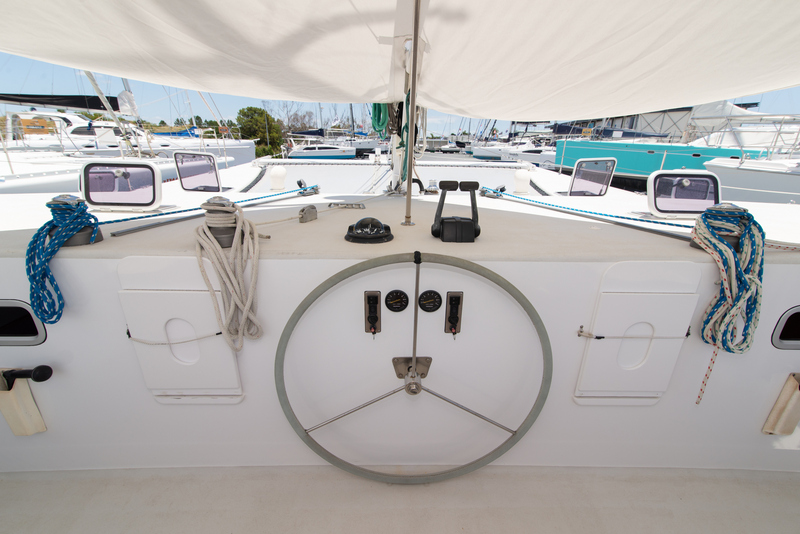 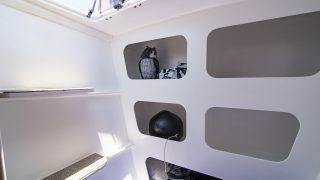 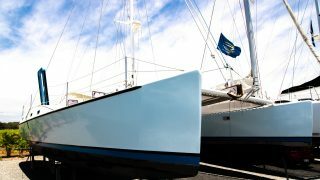 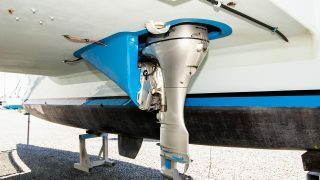 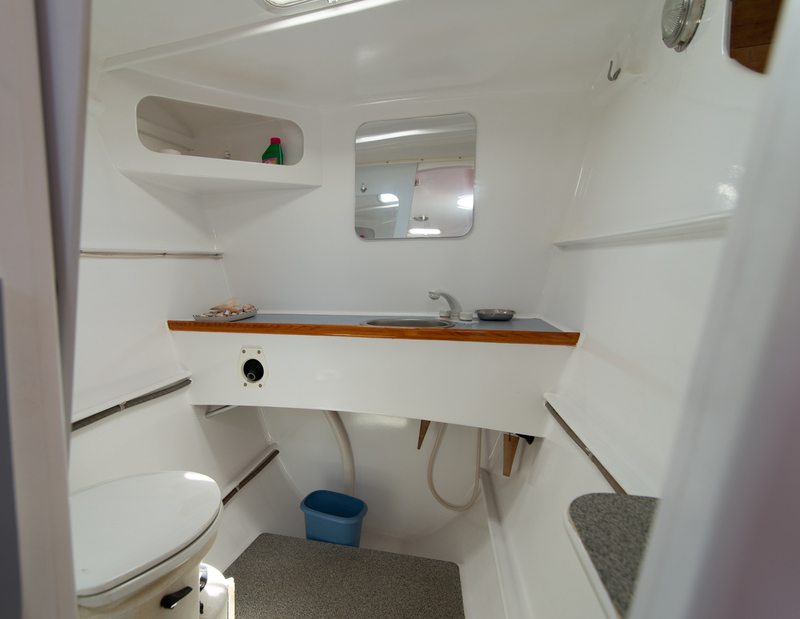 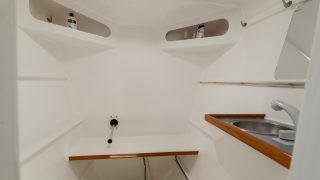 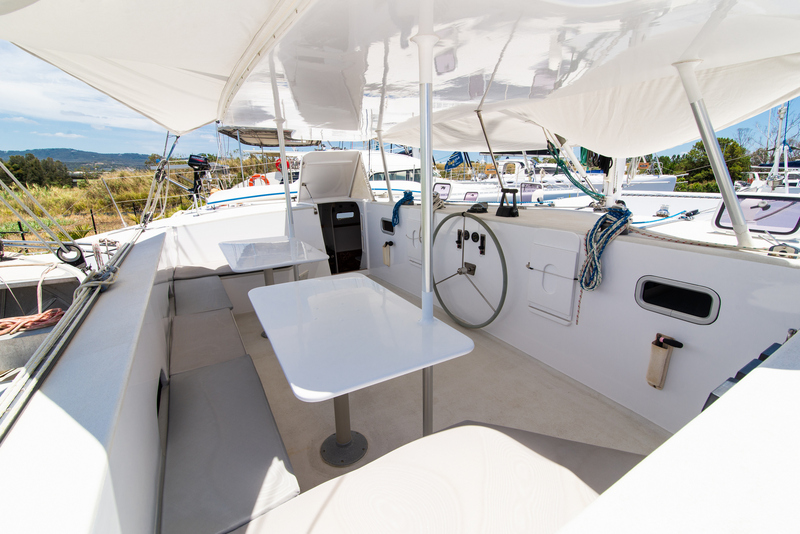 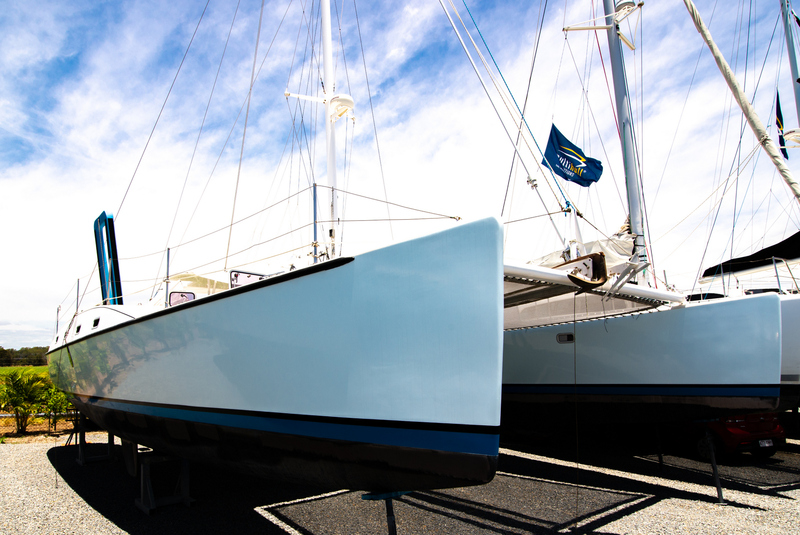 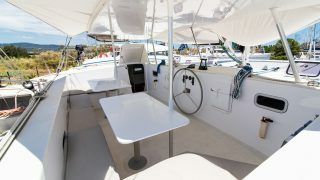 The sleek, fast, lively, comfortable and easy to sail characteristics of this boat are a real credit to her designer. 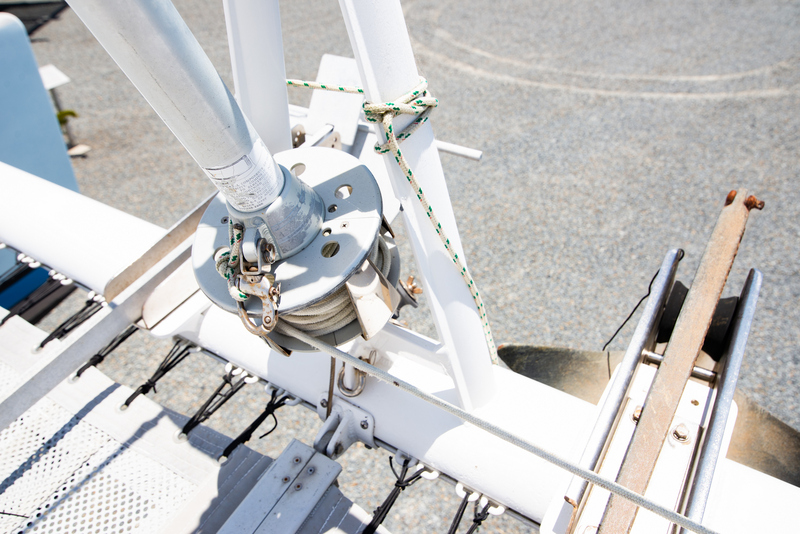 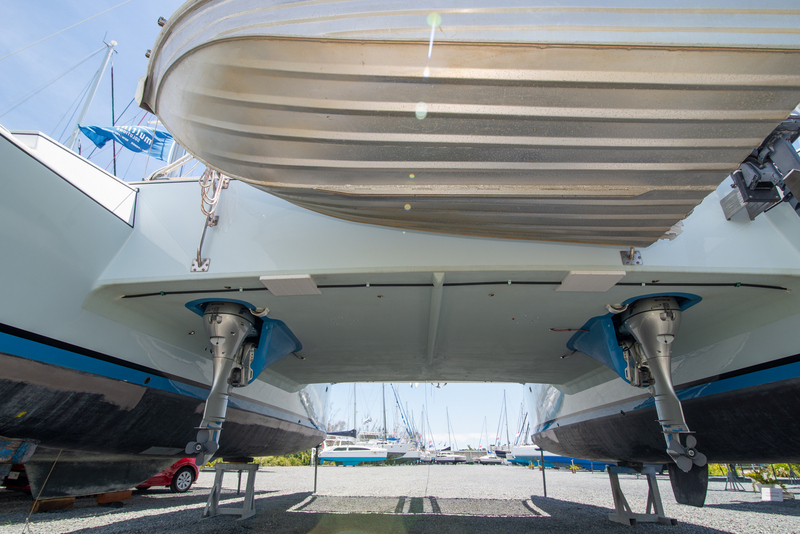 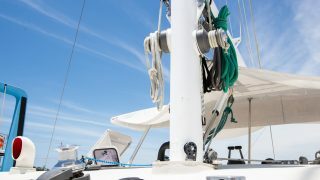 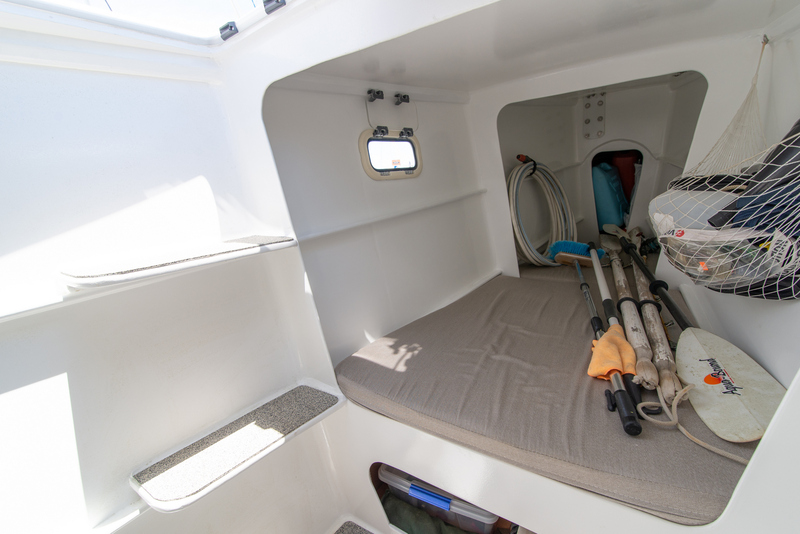 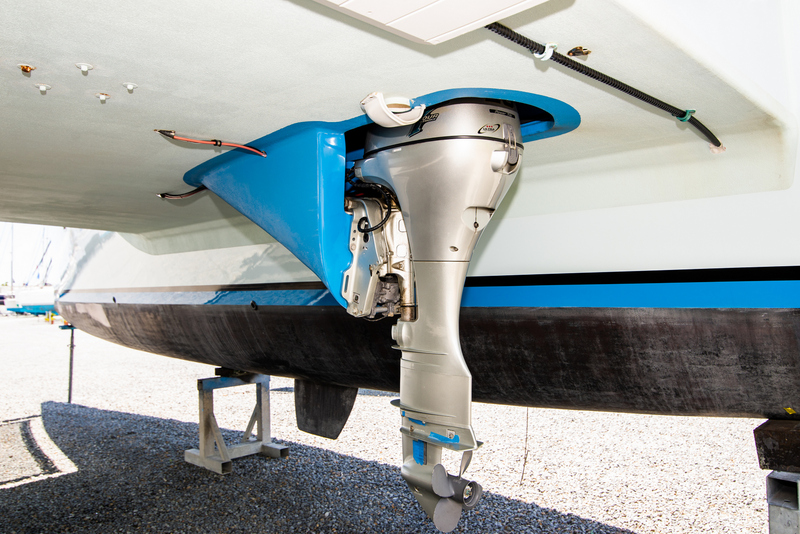 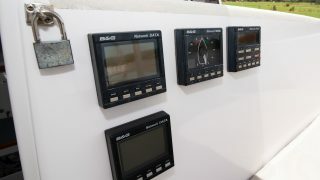 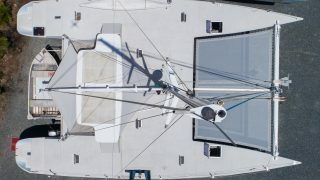 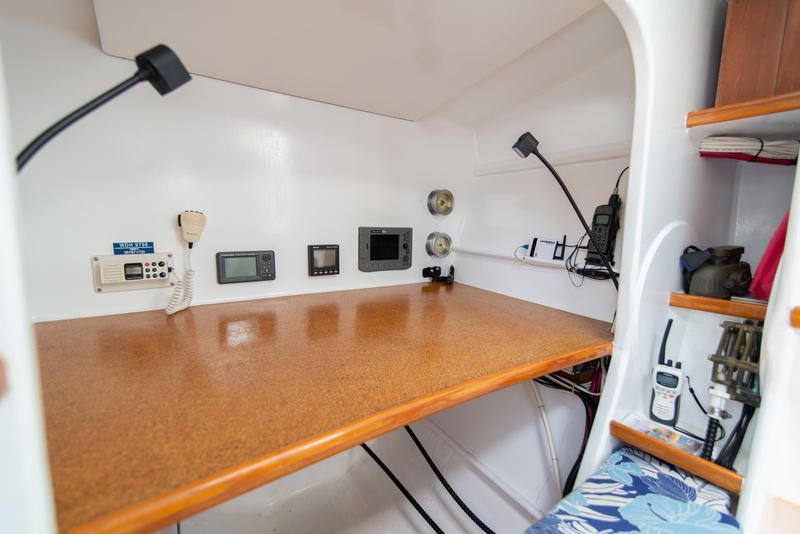 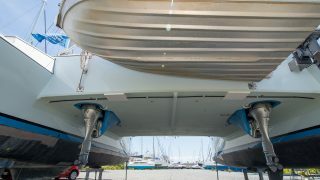 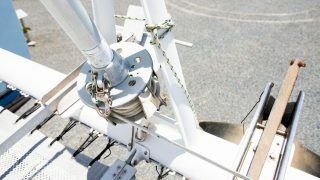 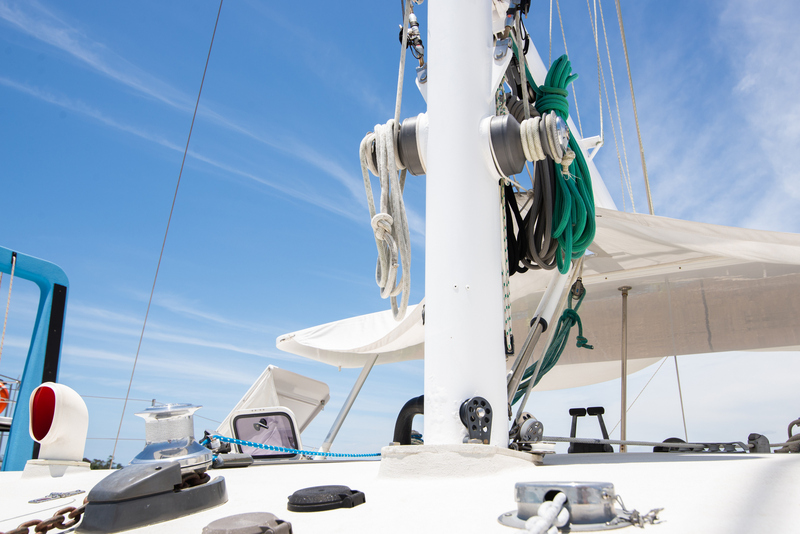 The deep dagger board along with the extra wide beam ensure great windward performance and easy tacking, yet still allow access into shallow anchorages. 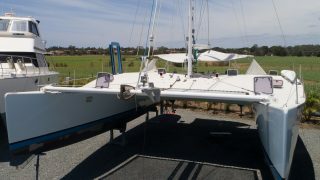 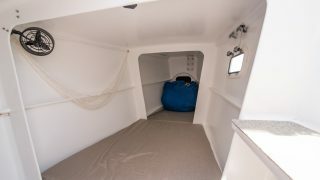 She is perfectly set up for life on the hook with an oversize Bruce anchor, all chain rode, shallow draft, great passive ventilation, solar panels, rainwater catchment system and a sturdy dingy stored in the davits, which will carry passengers and groceries in comfort over long distances on a plane. 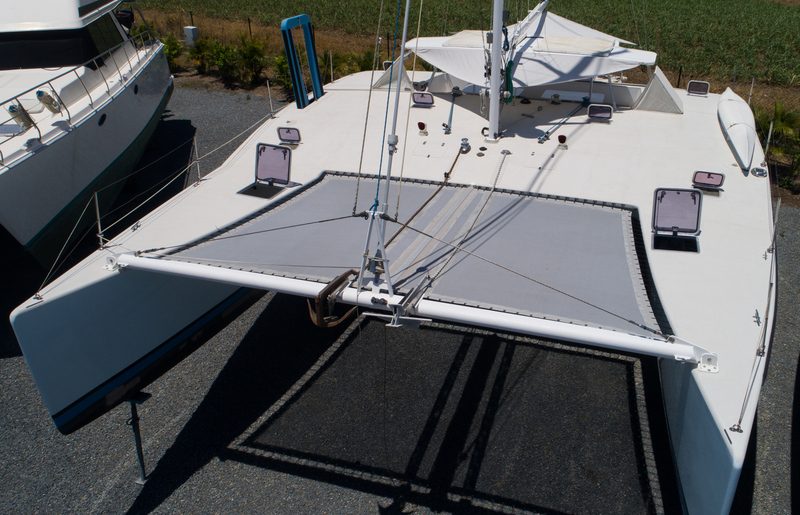 In fact, she has spent 18 months without ever touching a dock! 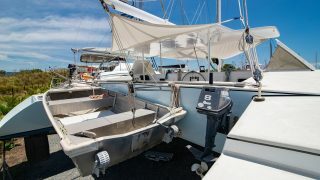 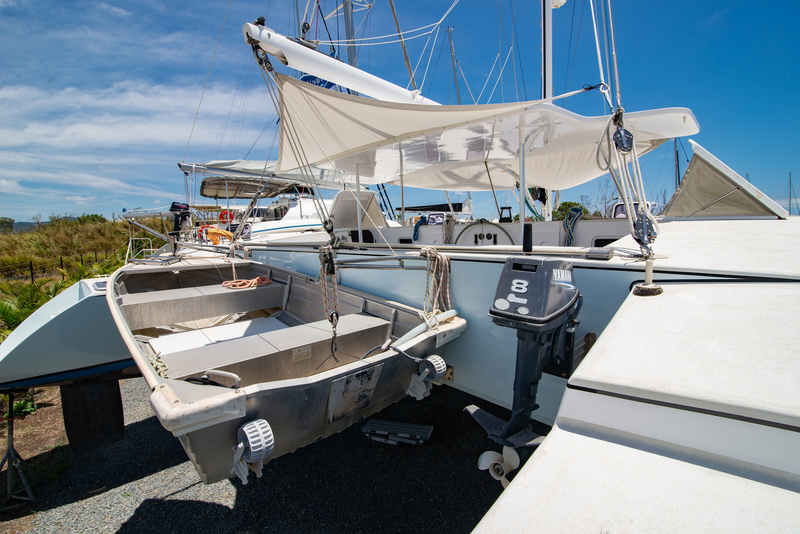 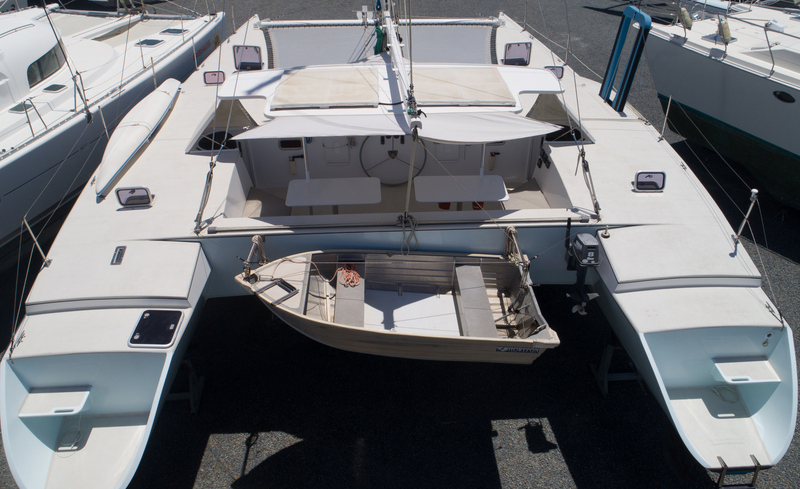 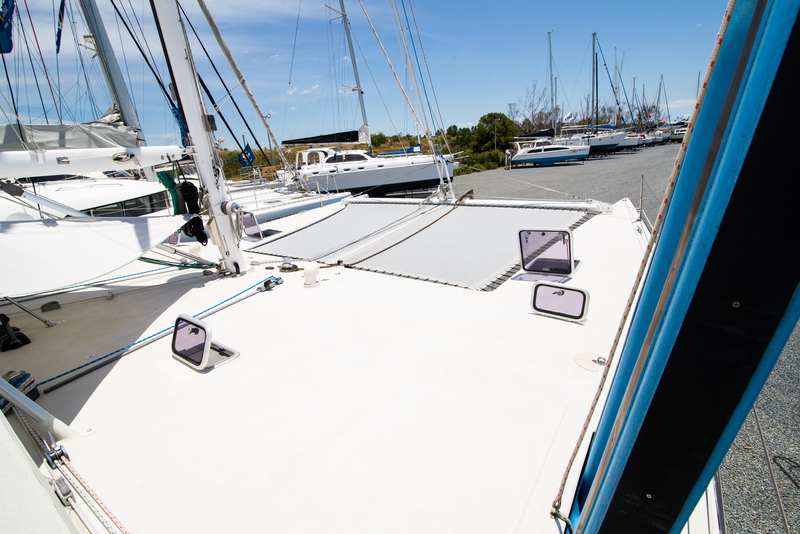 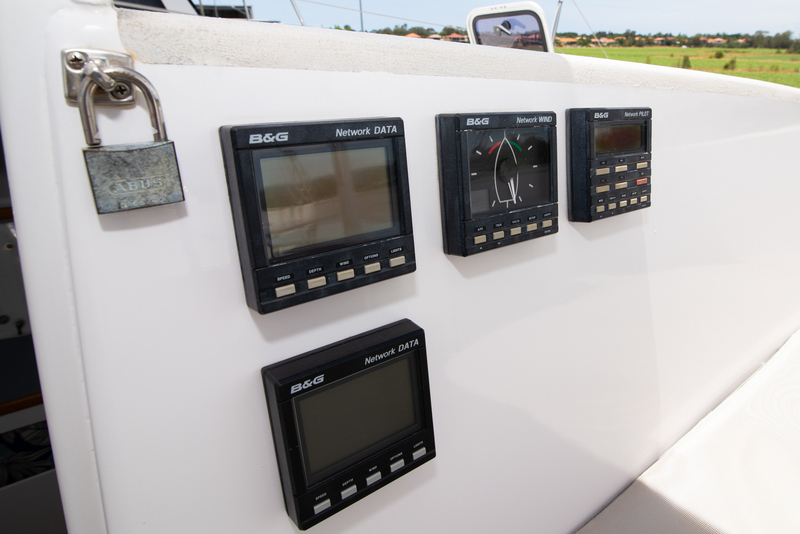 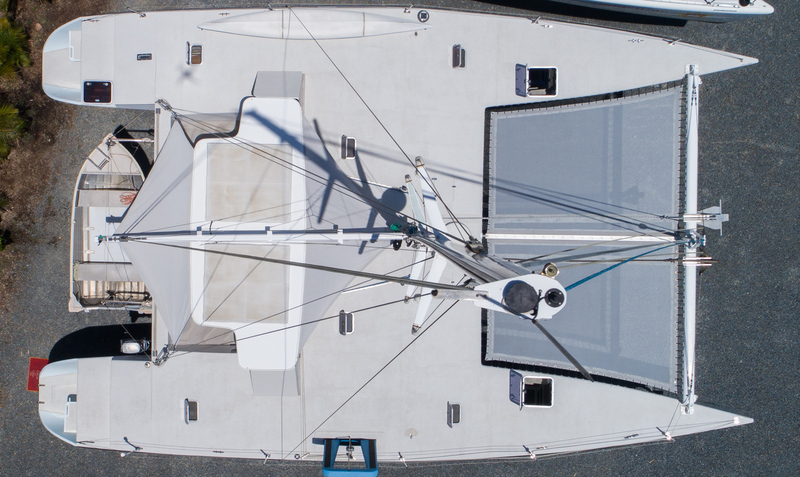 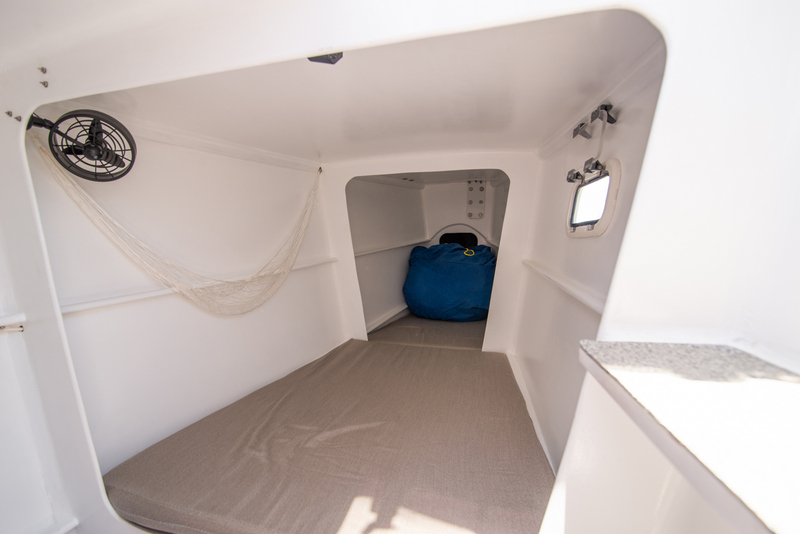 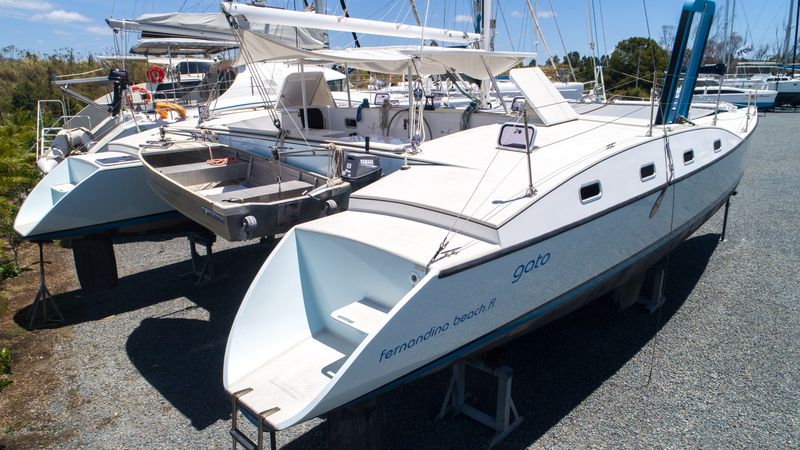 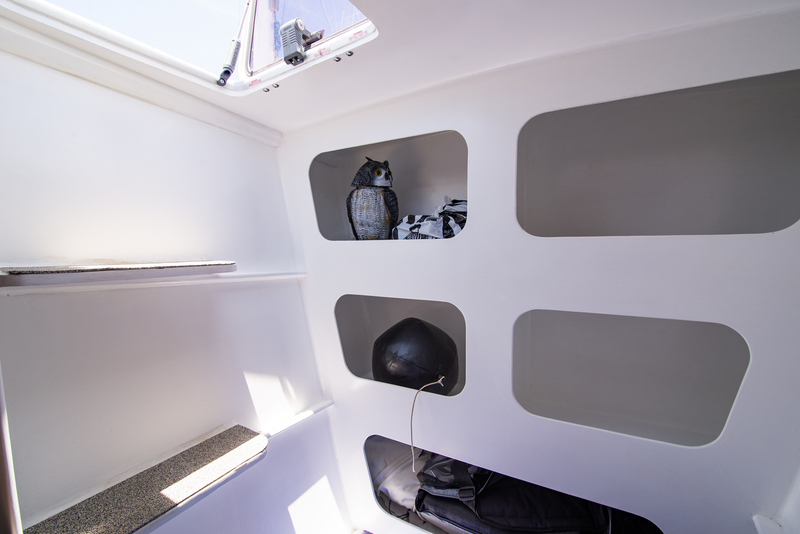 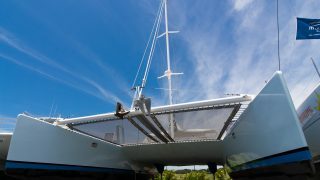 Its been a great ride but the time has come for the original owners of this multihull to pursue other adventures.